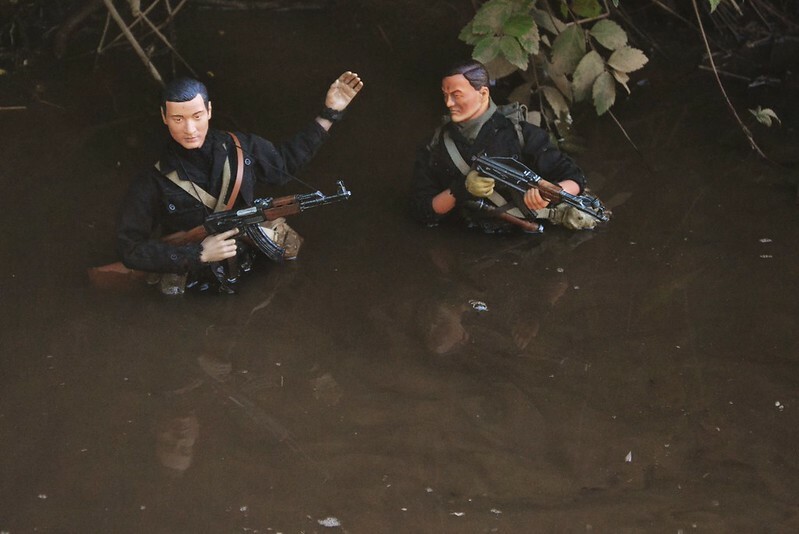 We had three days in a row of solid fog, so once it blew over this afternoon I was all set to take out some new VC figures I put together the other day. 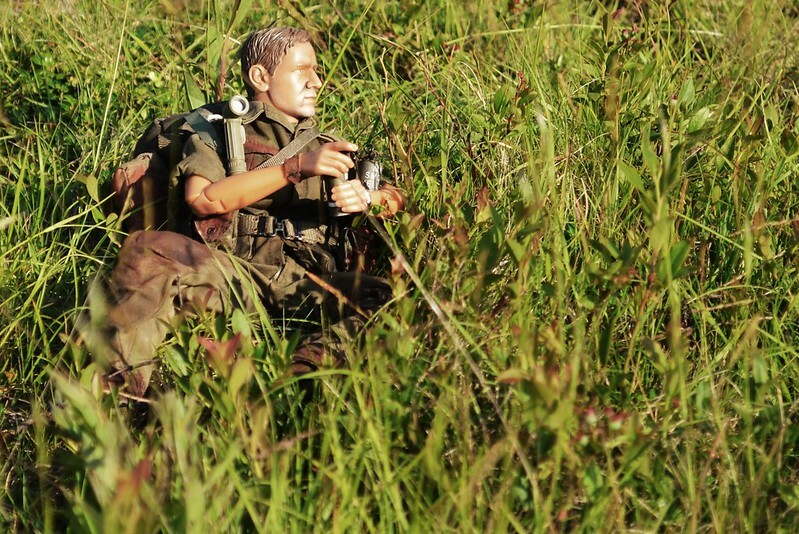 Two VC scouts make their way across a small, still river in the jungle. The sound of the US helicopter had faded almost an hour ago. They have a surprise planned for the US troops. 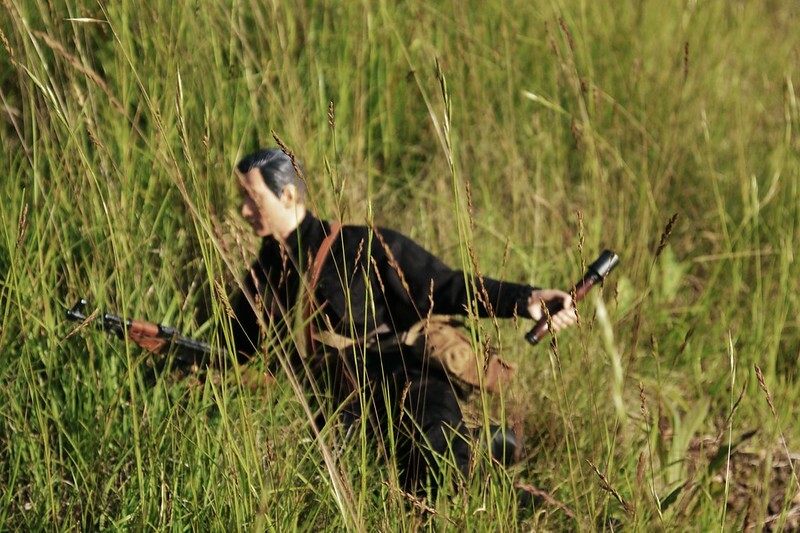 After making their way quietly to intercept the path of the US troops, the ambush is sprung with a quick burst from an AK47. 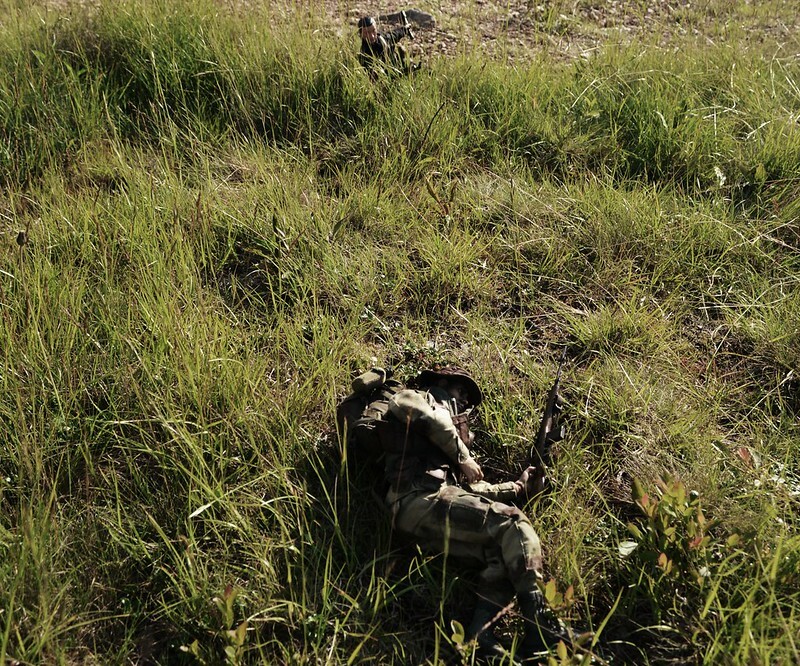 The Marine Pointman goes down, wounded from the burst. 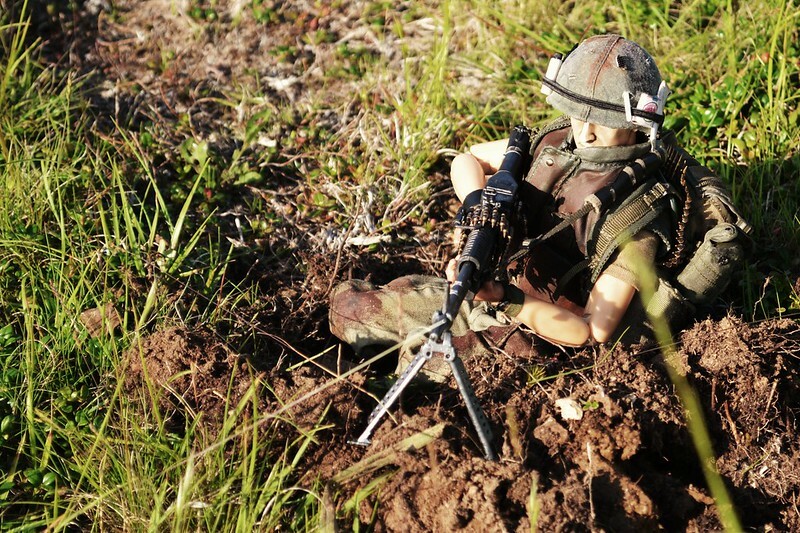 As the US squad scatters an takes cover, a VC soldier readies a stick grenade to hurl at his enemies. 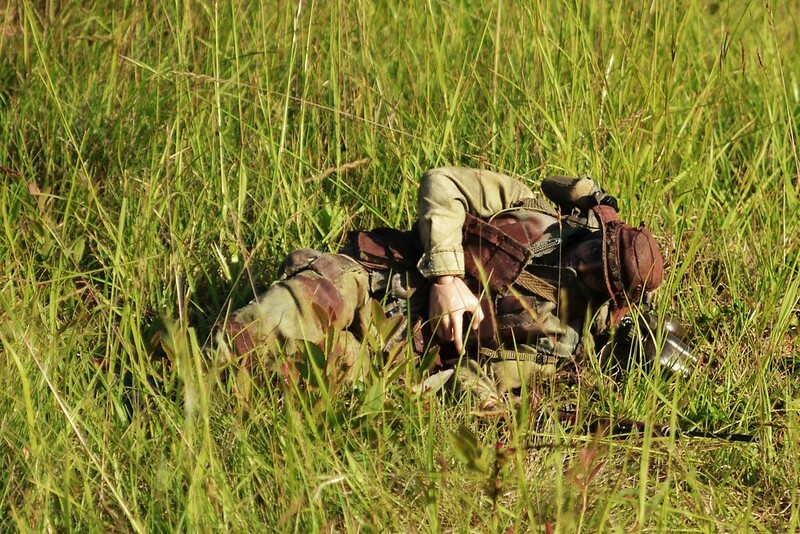 The US Medic readies a grenade of his own, a smoke grenade, to help cover his wounded comrade until he can get close enough to help administer aid. 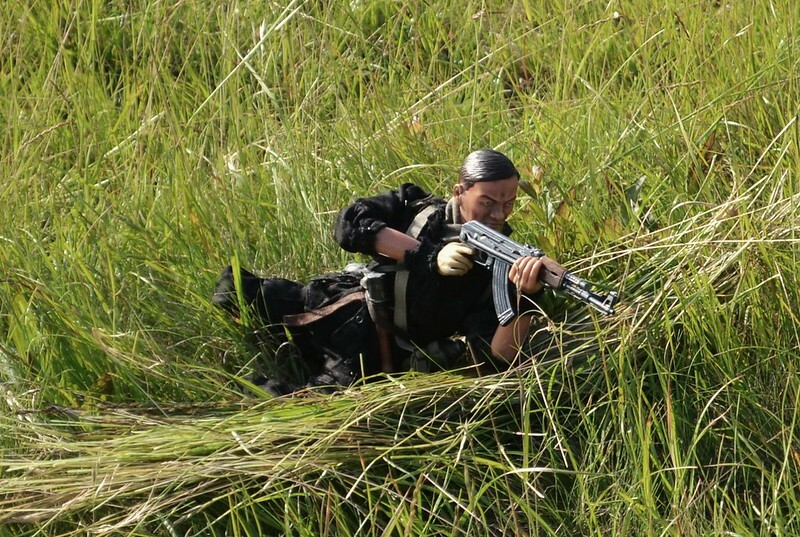 The US Machine gunner sends fire from his M60 across the battlefield at the ambushers. 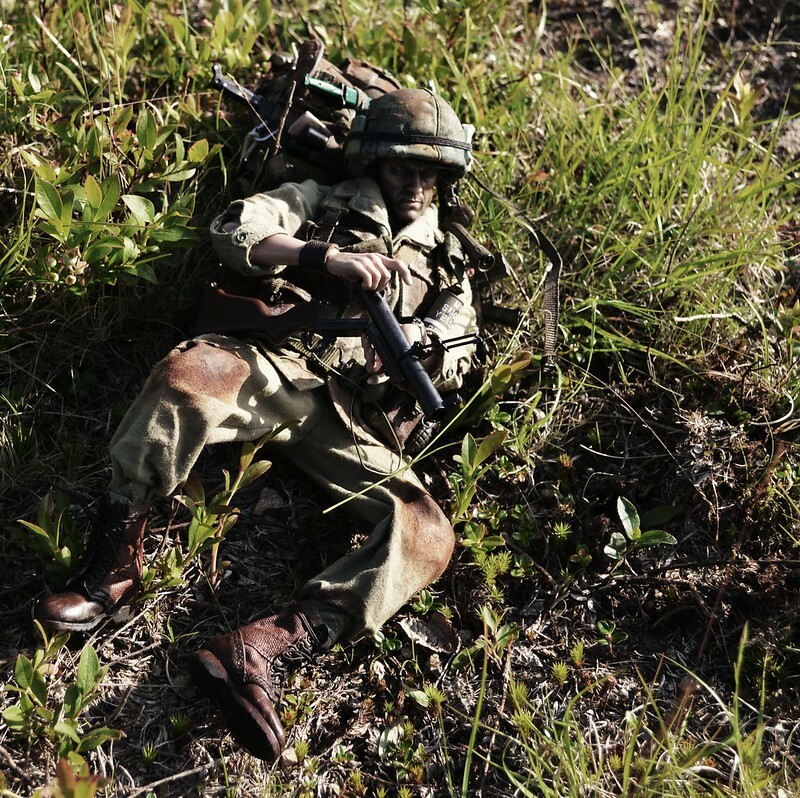 Another Marine with his ruck discarded, carrying extra ammunition makes his way towards the gunner. 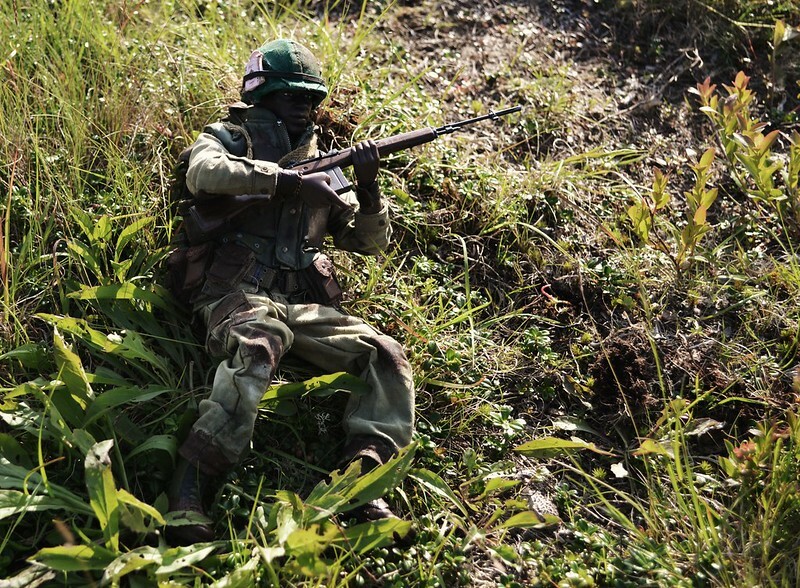 An M14 Rifleman slams a fresh magazine home in his rifle. 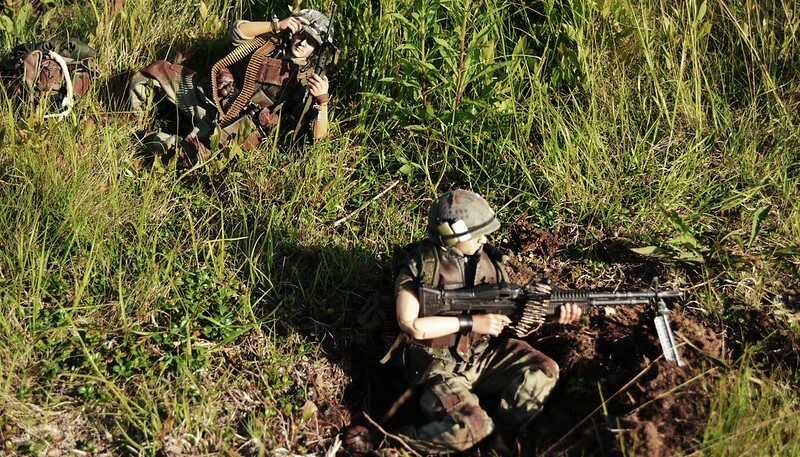 A Sargent sends suppressing fire down-range to help take some of the heat off of the machine gunner. 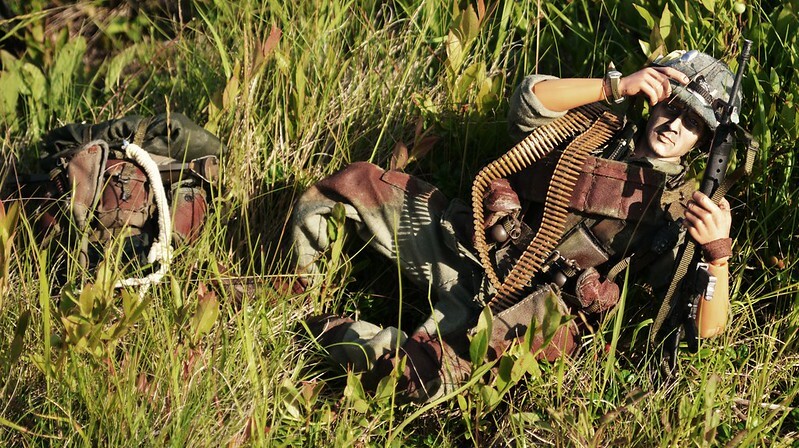 Another marine, his ruck on the ground, slides a fresh grenade into his M79. 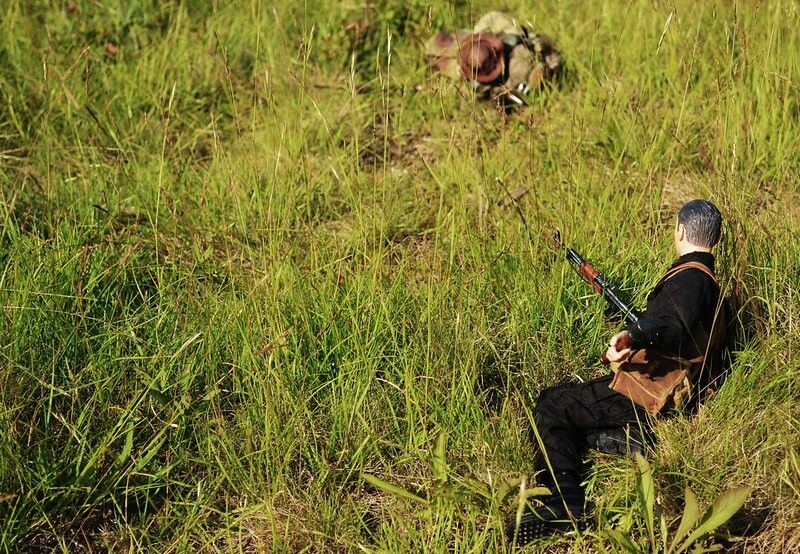 The RTO slams a new magazine into his M16 as the Lieutenant surveys the field and spots enemies with his binoculars. NBT - really cool dio! The river shots are especially realistic. Actually the entire dio is realistic. Nice work and thanks for sharing. 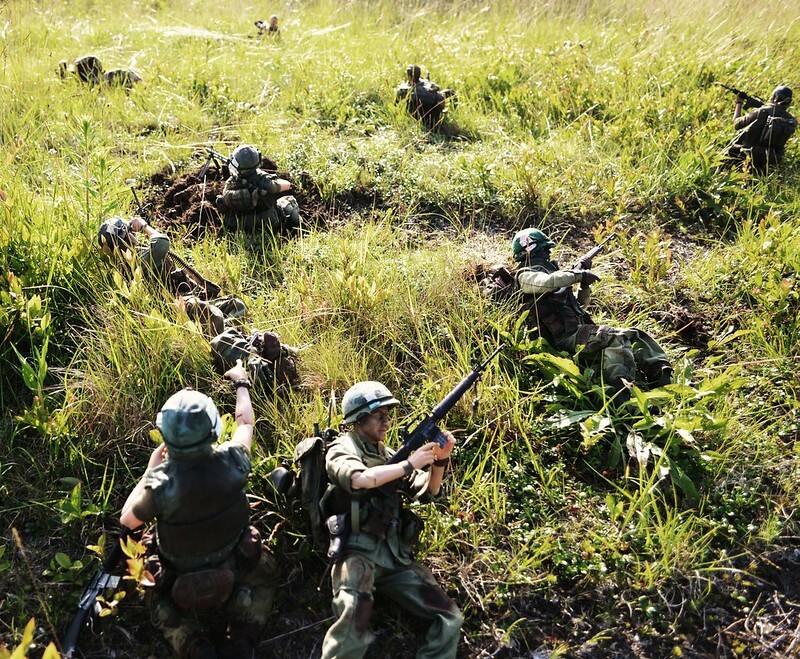 Excellent diorama, full of action. 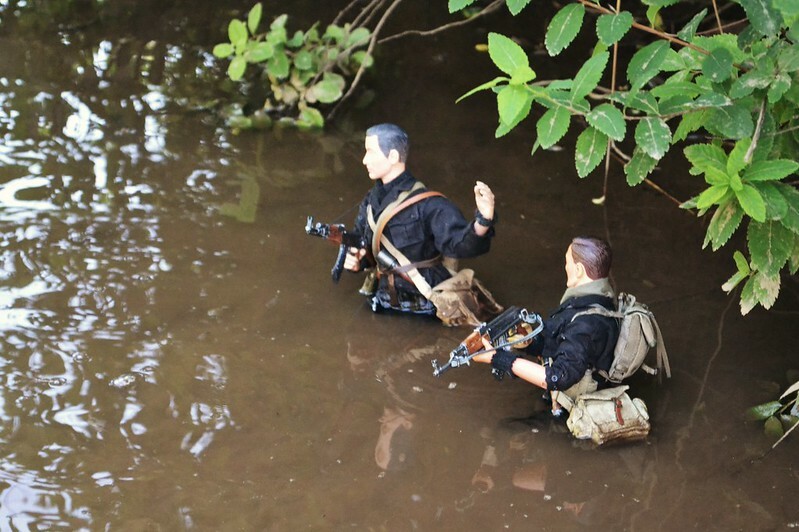 I agree, the pictures of the VC in the river look very real. Thanks a lot guys! Makes the bug bites worthwhile! 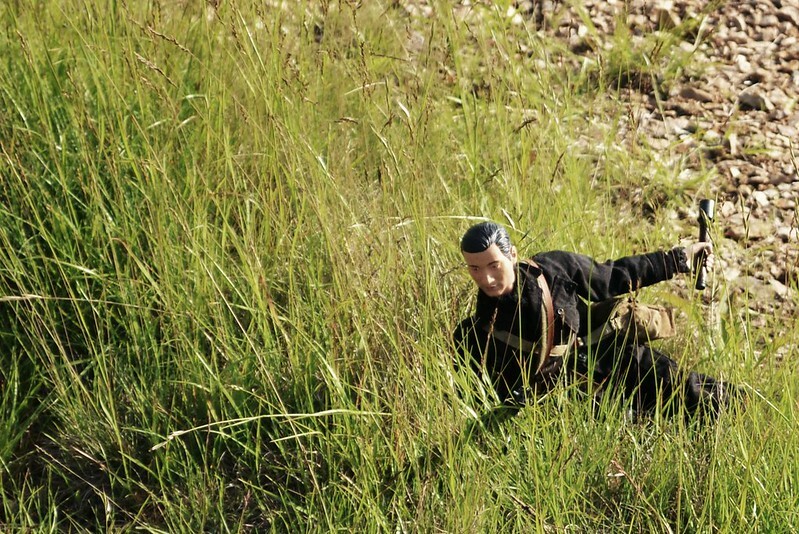 The bug bites make it just like you were there, lol Nice set up and figures. Might want to uncoil those rounds from around the 60 gunners weapon, if not a stoppage is imminent. Haha that is a good observation, Price, I'll be sure to do that next time! I've been working on improving the M60 lately actually, it was missing a charging handle, and so I drilled out a hole and put one in, and did some other minor tweaks. The US squad has seen some changes recently, so when I get them out next, there will be some differences. Good dio - I like the poses,and the figures look decent. 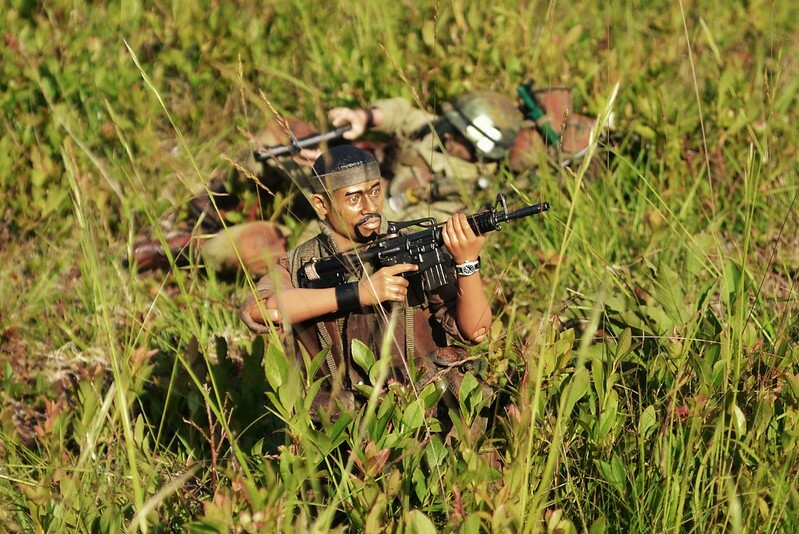 The Marine with the CAR-15 and the headband are more out of a 1980's movie about Vietnam than reality, though. Already seen in other forum, but it´s a pleasure to see this dio again!! !